Definitions- The definitional section of a lease, as you might expect defines certain words in the lease. It is the effect of the definitions, however, that must be carefully analyzed. For example, the “Real Estate Taxes” section of a retail lease that we recently reviewed for a potential buyer had all the standard clauses (e.g., when the taxes needed to be paid, reconciliations of actual against budgeted taxes and rights to contest the valuation with the local taxing authority). The definition of “Real Restate Taxes” (in an exhibit at the back of the lease), however, specifically excluded real estate tax increases resulting from the sale of the property being leased. This language is good for the tenant, but is a problem for the typical commercial landlord who banks on passing on all real estate tax obligations to its tenants. Lease definitions can also be too inclusive. For example, the definition of “Laws” or “Legal Requirements” often includes insurance company requirements. This definition could prove very costly for a tenant, who pursuant to the local building code does not need fire sprinklers, but must comply with such a requirement from the landlord’s insurance company. Site Plan Exhibits- We have seen many leases (drafted by others) that utilize addresses and/or tax I.D. numbers to delineate the leased premises, common areas... The resulting problem with these descriptions is it is hard to tell what exactly is being leased. Especially when the leased premises is only part of the property owned by the landlord, site plans should be added as exhibits to the lease to clearly delineate the leased premises, any exclusive parking and common areas. When site plans are included, they should be carefully scrutinized prior to the lease being signed. Often, in practice, lease exhibits are attached at the end of negotiations and tenants are unpleasantly surprised to find out after, the fact that they do not have adequate parking, or that their premises is configured differently than that discussed early on. Legal Description- A “metes and bounds” legal description exhibit should also be added so that there is no question as to what is being leased. In fact, if the lease (or a memorandum of lease) is to be recorded, a legal description will be required in order to protect the lease’s priority status over a later recorded encumbrance against the property. Rules and Regulations – The Rules and Regulations exhibit should also be carefully scrutinized. Often, this exhibit either contradicts language in the body of the lease, or, contains new, egregious provisions. Some are quite humorous, like the machine repair shop in an industrial zone that must keep the premises in a “sanitary condition”, or the restaurant that must “not permit odors to emanate from the premises.” The problem for the tenant is that a breach of a rule or regulation has the same consequence as the breach of a provision in the lease-it renders the tenant in default. Tenants should negotiate away egregious rules and regulations, and attempt language to the effect that Tenant shall not be considered in default of the lease for a breach of the rules and regulations to any extent such rules/regulations contravene any provision of the lease, or are not universally applied to all tenants (in a multi-tenant facility). 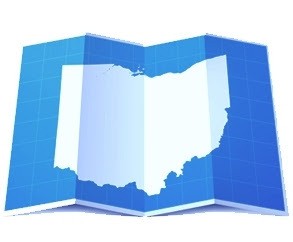 Notary Page – Commercial leases in Ohio with Terms exceeding three years (including option terms) must be in writing, signed and notarized to be enforceable. The good part about commercial lease is that courts by and large uphold the language in it, unless it is contrary to statutory law or public policy. As a result the language in these lease tend to be quite straightforward. The tenants have the advantage of transparency thanks to the judicial deference to lease language, as long as the read the lease thoroughly.